I have two banana plants in my collection that I’ve had for several years. Both of them have sprouted pups (also known as babies or suckers) over the past few years. This summer, I noticed they both had a few pups that were ready to be removed from the mother plants. Now that the pups are mature, it’s time to get busy propagating my banana! 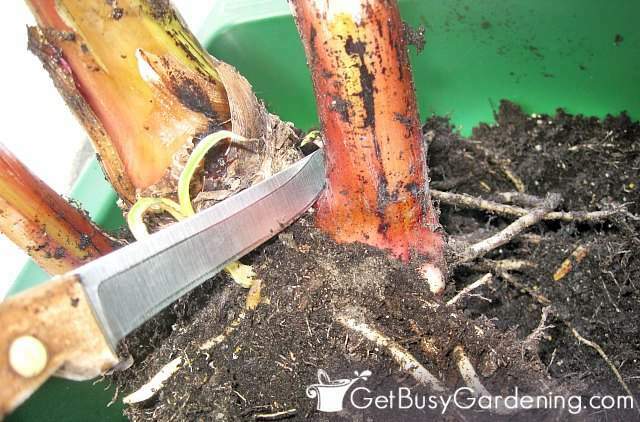 Propagating banana plants is pretty easy, and you can follow these steps whether your banana plant is growing in a pot or in the ground. Though I will warn you, it’s a bit of work dividing plants that are in the ground, so be ready to sweat a little. There are a few different banana propagation methods: propagation by division (aka: vegetative propagation), tissue culture, or even growing them from seed in some cases. Most types of bananas are sterile though, and don’t produce seeds. Tissue culture propagation is pretty technical and requires special equipment found in a laboratory. Those two methods are complex, I’d rather stick to the easy way. So, in this post, I’m only going to talk about dividing banana plants, which is by far the easiest way to propagate bananas. What Is A Banana Pup? New banana plants develop from the base of the plant, and those are called banana pups. They are also commonly referred to as “suckers” or “babies”. Mature banana pups can be removed and planted to grow new plants. If you want to try to propagate your banana plant by division, the first thing you’ll want to do is make sure the pup you’re planning to remove is mature enough to grow on it’s own. That means, the pup should have it’s own roots. 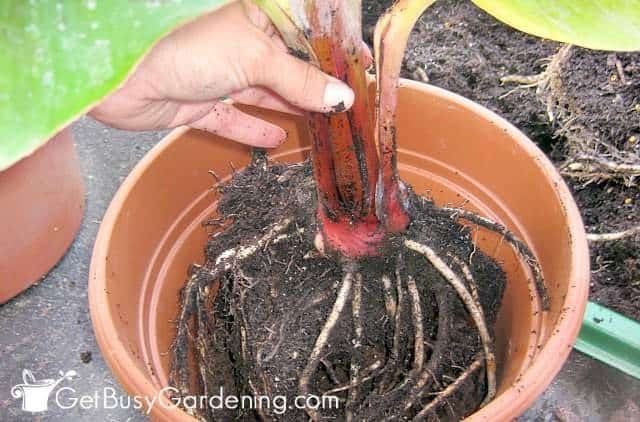 To check the pups root development, gently remove the plant from it’s pot, or dig down far enough to expose the roots. 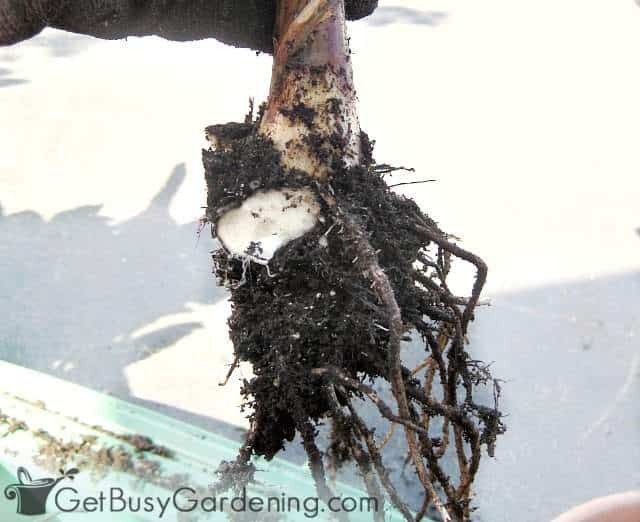 Then brush back the soil around the base of the pup to see if it has developed it’s own roots. If the pup doesn’t have any roots then it’s not ready to be removed, and won’t survive on it’s own. So cover the roots back up and give the pup more time to grow. If it does have roots, then follow the steps below to remove it. The best time to divide banana plants is in the spring or fall. But there’s no requirement that says the pups must be removed from the plant, mine was growing just fine with all those suckers. But my plant is extremely pot-bound and I didn’t want to repot it into a larger pot, it’s big enough already. Plus I have a few friends that would love to have a banana plant of their own. So that’s why I decided to remove a few pups from each plant. 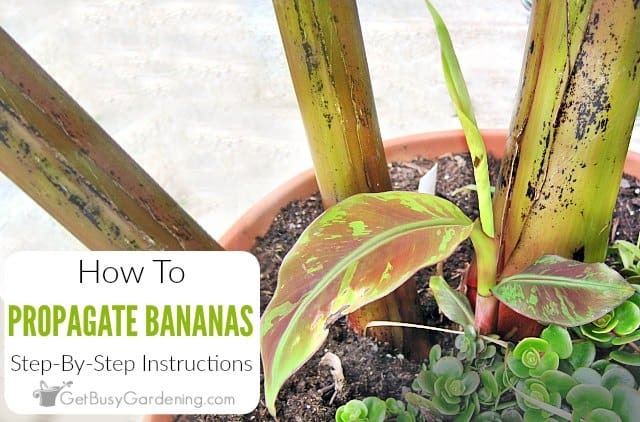 Before you can propagate bananas, you’ll need to collect a few supplies. Don’t worry, you won’t need a bunch of expensive equipment for this method of banana propagation – and I bet you already have most of this stuff on hand. One thing to note before starting is that your banana pup is going to go through some trauma here, and you want to take steps to reduce the amount of transplant shock. So, have the new container ready to go and partially filled with soil, or dig the hole in your garden before removing the pup. That way you can get your new baby banana tree planted as quickly as possible after removing it. Step 1: Loosen the rootball – This task will be much easier if your banana is growing in a pot like mine. 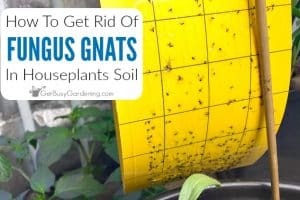 Simply slide the entire plant out of the pot first. Then gently tease apart the roots of the pup and mother plant, working to free as many of the pups roots as possible. Try not to break any of the pups roots in the process (have patience, this may be a difficult task and take some time). 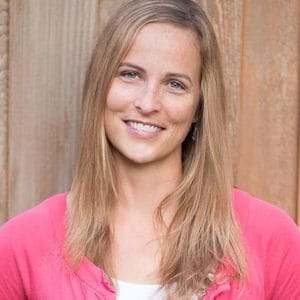 Step 2: Cut the pup from the main plant – Once you find the spot where the pup is attached to the main plant, use a sharp, sterile pair of clippers or a knife to cut the connection. 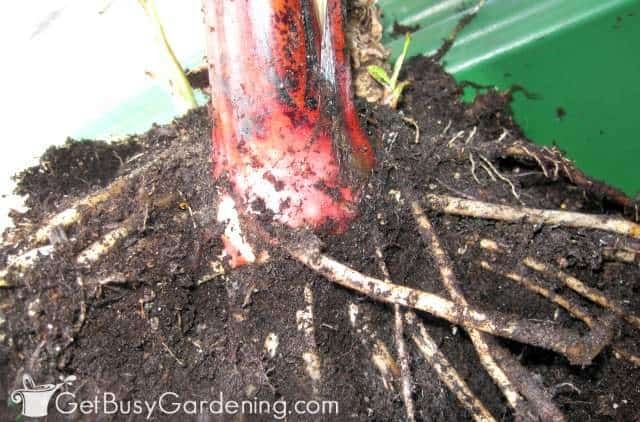 Again, try not to cut off any of the pups roots, just sever the connection to the main plant if possible. 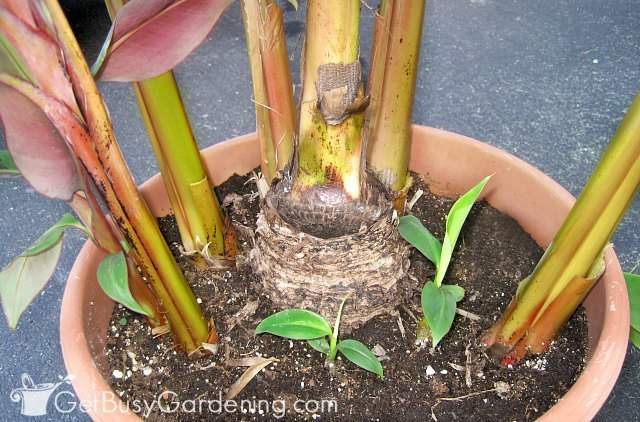 Step 3: Free the pups roots – Once you’ve severed the connection to the mother plant, continue to tease the banana plant roots, gently pulling the pup away from the main rootball until it’s free. Removing the pup sounds like it would be super easy, but for a well established banana plant it will take some effort. Just be patient and take your time. After you’re done removing the pup, put the mother plant back into it’s pot, or repot it into a new one if you want. Now that you have successfully removed the pup, you can pot it up into it’s own container. Banana plants aren’t picky about the their soil, but they do prefer a rich, organic and fast draining soil mix. 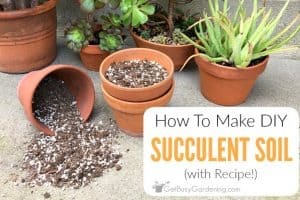 You can use my container potting soil recipe to make your own, or you can use general potting soil with some perlite or pumice mixed in for extra drainage. Plant the baby banana in it’s new pot at the same depth it was in the old pot, taking care to cover all the roots as you fill the container with soil. Once you’ve filled the pot with soil, give your new banana plant a good drink of water. Your new banana plant might droop for a few days until it gets used to living on it’s own, that is normal transplant shock. To help it through the shock, it’s a good idea to keep it out of full sun and make sure it’s well watered until it has perked back up again. That’s it, now you have a new banana plant to share with a friend (aren’t they lucky!?). Banana propagation by division can take some work, but it’s by far the easiest way to propagate banana plants. Just remember to take your time with it, and have patience. 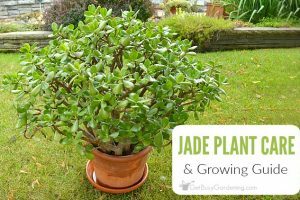 Are you interested to learn more about how to propagate all of your favorite plants? My Plant Propagation Made Easy eBook is for you! 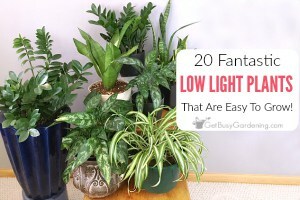 It will teach you all of the basic methods for propagating any plant that you want. Download your copy today! Share your banana propagation tips in the comments section below. 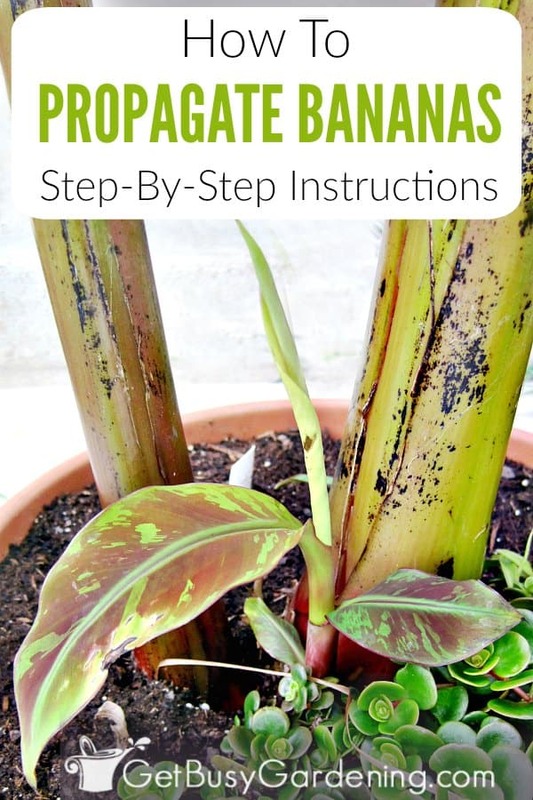 I love the step-by-step description and detailed banana propagation photos. This is a very useful post! Good luck with the new "pups"! Thanks PlantPostings! The pups are looking great, I think they will survive just fine. Woohoo! I've read a few descriptions for how to propagate them, but it's nice to see pictures included as well. We just got two Bananas and plan to get more so it's good to be prepared. I like the look of the Blood Banana. Is it ornamental? @gardentiki – Thanks, I'm glad you find this helpful!! I believe the Blood Banana is ornamental, but I live in MN and grow these inside most of the year… so I suppose all types of bananas would just be ornamental here! 🙂 I would be shocked if they ever set fruit, but very excited! It’s always amazing to see banana trees with full fruit on trees in December here in Nashville, but the do even though it is indoor under glass! Opryland hotel has several trees in their conservatories. They are large and hard to miss! Great! You’re welcome, good luck propagating your banana plants! When is the best time of year to divide banana plants? I have a cluster out by our pool and they have been ignored for who knows how many years and are too big/too many for their spot. 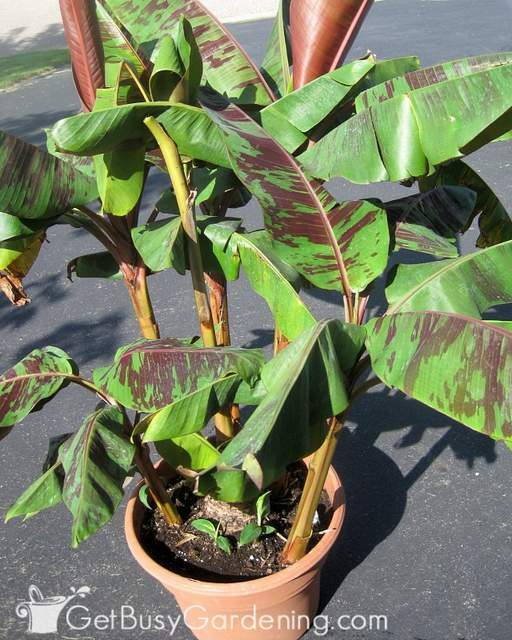 The best time of year for dividing banana plants is in either the fall or the spring. Excellent info! I got a banana plant this spring when my local nursery had a garage sale, so I got a decent sized plant for just a few dollars. It does have some pups coming up (didn’t know that is what they are called) and so I’ll have to see in the fall if I can extract them. My wife won’t necessarily be happy having more banana plants as she thought I was a bit crazy to get the first one, especially now that it is getting huge, even in a medium sized container. But as you mentioned, maybe I can give them away to friends. On another note, do you actually get bananas and what do you do in winter to protect the plants? Great score on the banana plant at a garage sale, how fun! Good luck propagating it. My banana plant is just ornamental, and has never gotten bananas. Our growing season is much too short here in MN for that. I’ve heard of people getting bananas when they grow their plants in a greenhouse though. I overwinter my plant inside as a houseplant. Thanks for the reply. I will be keeping it in my unheated greenhouse over winter in Zone 8a, so it will have a longer growing season than being outside. 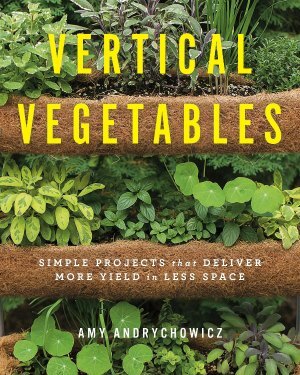 Right now I have it on my second floor deck as it is still too short and the leaves take up a lot of room in the greenhouse. Once it grows taller, the leaves will be above our heads, which should then be better. Or I need to build a larger greenhouse! I’m so glad I found your site ! I love gardening ,always have .But now I’m older and really can’t get around too well outdoors . so I’ve went a little wild on the houseplants . But , I’ve been trying different things .Mostly succulents .But also using the internet to find some plants that I had before and couldn’t find any more .such as the mother of thousands and the stapella .probably not spelled right . Anyway I am really looking forward to exploring many of your topics, etc. Thank You !